As the winner of the recent Frightfest DON'T KNOCK TWICE competition prepares for a night they won't forget at the Rio Cinema, Dalston. A night which will see them alone in an 80 year old auditorium surrounded by the echoes of the past, shadows and dare we say...ghosts! 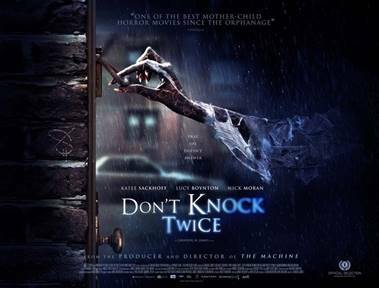 The rest of the U.K. prepare for the cinematic release of DON'T KNOCK TWICE on 31st March 2017. On the same day the film will be available on demand, come the 3rd April 2017 it will be available to buy on DVD. You can read our review of the movie by clicking HERE.